College counselor Debbie Liebert has always been passionate about college, the college experience, and helping students find the right college match. Debbie’s undergraduate experience at USC, where she met her husband of 35 years, changed her life, and she wants every student to have a great college experience like she did.That wonderful college experience starts with finding exactly the right college. But Debbie knows that finding the right college is not usually a simple, linear process. So she works with each student based on his or her personality and habits to find the “best fit” colleges. She strives with her students to find an environment that not only nurtures their growth inside the classroom, but also inspires them as individuals – academically, socially, emotionally and spiritually. Applying to college can be stressful. As both a college counselor and parent, Debbie is committed to helping students prepare for college. Many years ago, she helped her three very different daughters with their own college applications. It was a joy to watch each daughter create her own unique experience of exploration, growth and success, and she experiences that same joy again and again each time her students get into the colleges they love. As a USC alumna, Debbie interviewed children of alumni for scholarships. As a full time parent, she was a room mom, a Brownie mom, and a team mom. For two years she was President of the Kappa Alpha Theta Parent Organization, and volunteered for USC’s Parents’ Club. The college search process is a challenging time in a student’s life. Debbie’s personal and professional experiences as a college counselor can make applying to college enjoyable and pleasant. From creating the first college list to the final decision, Debbie guides students with honesty, integrity and enthusiasm. As a dedicated college counselor, Debbie Liebert is an advocate for helping all of her students – including your child – get into the right college. 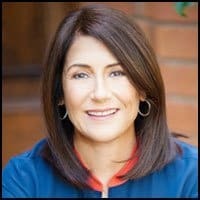 Debbie holds a Bachelor’s Degree from USC, a Master’s Degree (in Education) from Pepperdine University and the Certificate in College Counseling (with distinction) from UCLA. 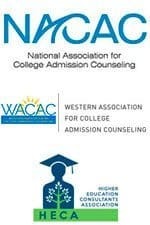 She is an active member of several college counseling organizations, including the National Association for College Admission Counseling, the Western Association for College Admission Counseling and the Higher Education Consultants Association.